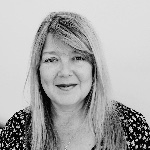 Sharon Banks has had a career with the British Government spanning nearly 40 years, with extensive experience in both Programme and Operational Management, having managed diverse teams ranging from small specialism’s to wide national delivery with responsibility for over 3000 people. Having been trained by Toyota Sensai in the Lean approach Sharon has spent the last 15 years developing and implementing Lean Strategies across Government. She has helped a variety of areas to meet the stringent demands of Government policy, most notably Department for Work and Pensions, where she was instrumental in enabling them in reducing the workforce by 20,000 whilst at the same time increasing productivity by over 10%. During the last 5 years Sharon has been deploying Lean within the construction industry at Highways England. As a newly formed Government Company Highways England has a huge challenge in meeting the increased demand for efficient infrastructure. It is also developing its future business model to respond to the Digital world around us. As Head of Lean Sharon believes the construction industry is on the brink of a revolution and that Lean is the enabler that will provide the firm foundation on which this bright new future can be built.